NOTE: This PDF contains the original document published in 1999 - with none of the updates that have been applied to the online version posted here. Organizational history is the record of a military unit's entire past. Under the provisions of AR 870-5, commanders at all echelons are charged with the responsibility of establishing and maintaining organizational history programs. Wise commanders realize that such programs can contribute to the accomplishment of their missions and to the development of unit cohesion. Military history serves to inspire soldiers and give them pride in their profession. Unit morale can only improve when the individual soldiers of a unit come to realize that they are part of a larger entity with a record of respected accomplishments. This pamphlet, the work of historians in the Organizational History Branch, Center of Military History, is designed to furnish commanders with guidance in carrying out their responsibilities as prescribed in AR 870-5. The pamphlet explains how the branch can assist units with matters pertaining to their organizational history, and it also covers other government agencies that can support this endeavor. It is hoped that this pamphlet will be of value to commanders and encourage them to use organizational history to enhance troop morale and foster esprit de corps to increase individual and group motivation and interest, and to promote public pride in and respect for organizations of the United States Army. When a man or woman enters the Army he or she does more than just put on a uniform. That individual becomes part of this nation's senior service. Soldiers should be made aware of the Army's proud history. They need to know about the Army's needs, its growing pains, its adversities and its victories, its achievement in war and peace, and its place in the world of tomorrow. Experience has shown that members of a military community are more effective when they understand and take pride in military traditions. By making soldiers feel that they are part of a unit, they can draw strength from the individuals who served before them. This phenomenon is esprit de corps. Soldiers should know about units such as the 3d Infantry. On all ceremonial occasions unit members are entitled to march with fixed bayonets, commemorating the regiment's gallant bayonet assault at the battle of Cerro Gordo on 18 April 1847 during the Mexican War. The 5th Infantry derives its official motto, "I'll Try, Sir," from a similar incident in the War of 1812. At Lundy's Lane, Canada, on 25 July 1814, the unit launched an almost suicidal assault on British troops to secure an important victory. The glory and honor of these units and many others belong to every member of the Army. The task of today's leaders is to teach soldiers not only to match achievements of the past, but to surpass them. Until each member of the Army can say, "I belong to the finest outfit in the world," the commander's mission is not complete. He or she must help each soldier assimilate the Army's traditions and develop the esprit de corps that is vital for success on the battlefield. As General of the Army George C. Marshall once said, "It is not enough to fight. It is the spirit we bring to the fight that decides the issue. It is morale that wins the victory." The modern Army serves in an era of high technology, marked by frequent changes in the force structure and by even more frequent modifications or changes in the Tables of Organization and Equipment (TOEs) under which the Army forms its permanent units. These changes give added impetus to the need for a well-rounded military history program because history can serve as a vehicle for imparting a sense of continuity and stability during times of flux. Many "new" units are actually reactivated older organizations, a fact that enables commanders to use the past immediately to promote unit cohesion and build morale. access to published materials. Under such circumstances commanders can fall back upon items that are symbolic representations of unit history-the colors, flags, and guidons with their streamers and silver bands, coats of arms and distinctive unit insignia, and historical property. Commanders should select members of their commands to act as unit historians. The unit historian should organize all available information about the unit and how it relates to its branch and the Army at large. He or she should learn what the unit's symbols represent and get human interest stories connected with them. The unit historian can turn to the Center of Military History and other agencies for assistance, as specified in this pamphlet. When the background information has been gathered, it is a simple matter for the commander to assemble the unit around the colors and, using these symbols, tell the story of the organization in a manner that will inspire the soldiers. In addition, commanders would do well to remember that individual soldiers themselves are good sources of material for building morale. Their deeds, courage, gallantry under fire, and other attributes are genuine story material. When commanders weave the exploits of the unit's heroes-past and present-into their accounts, they make their history more meaningful. Two excellent source books are available for this purpose: The Medal of Honor Recipients, 1863-1978 (Government Printing Office, 1978) and American Decorations, 1862-1926 (Government Printing Office, 1927). Both books abound in examples of notable individual achievements. The story of these dramatic exploits, tied in with the organization's overall history, forms the background of esprit de corps. Often the organization's motto contains the theme of an excellent story about a former member or a significant episode in its history. The motto, "Stand Fast," of the 155th Infantry, Mississippi Army National Guard, perpetuates the spirit of the Mississippians during the Mexican War. When other troops began to fall back before the enemy assaults during the battle of Buena Vista, Colonel Jefferson Davis exhorted his fighting outfit: "Stand Fast, Mississippians." They did, and the battle was another victory for the U.S. Army. In a similar vein, the special designation or official nickname granted to a unit might reflect the story of a former member or special deed. The 327th Infantry carries the traditional designation "Bastogne Bulldogs," reminding its members of the regiment's tenacity during the siege of Bastogne, Belgium, during the winter of 1944.
bases in the theater. The unit received the Meritorious Unit Commendation for its work. Such examples of outstanding effort provide a fine background of tradition for organizations whose main mission is support rather that combat. To have meaning and to enhance esprit de corps, a custom should grow naturally out of some especially significant event or experience in the life of the organization. It must be passed on and observed repeatedly. It may reappear in song or be emblazoned in the symbolism contained in a coat of arms or distinctive unit insignia. It may be commemorated in informal ceremonies. The use of colors, campaign and decoration streamers, heraldic devices, military art works, and items in silver (such as regimental punchbowls), enhances the custom or observance. Through these means the organization develops a sense of pride and unity. During the Civil War, for example, certain Union Army corps had adopted distinctive badges. The XV Corps, Maj. Gen. John A. Logan commanding, failed to select one. The story circulated that one of Logan's soldiers, on being asked about his corps badge, replied, "Forty rounds in the cartridge box and twenty in the pocket!" "Black Jack" Logan promptly adopted the saying for the corps badge. Today, the 13th Infantry commemorates its achievements as an element of the XV Corps. The 13th's color contains a crest consisting of a cartridge box bearing the legend "Forty Rounds" "U.S."
History cannot be fabricated, and traditions without foundation will quickly wither and die. Commanders must realize that the first step in developing customs is the gathering of accurate factual information. The commander should also not expect an awareness of the organization's history to create high morale by itself. It must be used on an ongoing basis to strengthen and sustain qualities that already exist and to reinforce traditional qualities of leadership. Just as experienced soldiers are known by the decorations and service ribbons they wear on their uniforms, so is the well-tried military organization known by the decorations, campaign streamers, or silver bands it carries on its flag, color, or guidon. Many of the honors that fighting soldiers can earn have counterparts that are given to units for similar service or achievements. For example, a campaign streamer with inscription is comparable to a theater service ribbon with battle star, while many unit decorations are comparable to individual decorations. The Presidential Unit Citation (Army, Navy, or Air Force) is awarded for the same degree of heroism required for the award of a Distinguished Service Cross or Navy Cross to an individual; the Valorous Unit Award and the Navy Unit Commendation (when awarded for bravery) are given for the same degree of bravery as that required for the award of a Silver Star; the Meritorious Unit Commendation (Army), Navy Unit Commendation (when awarded for merit), and Air Force Outstanding Unit Award are bestowed upon units for the same degree of achievement warranting the award of the Legion of Merit. The Meritorious Unit Commendation (Navy) is comparable to the award of a Bronze Star to an individual. The Army Superior Unit Award, created in 1985, recognizes outstanding meritorious performance during peacetime of a difficult and challenging mission under extraordinary circumstances. Recognition of unit accomplishments has played a role in military leadership for centuries. The ancient Roman legions carried standards in the shape of eagles and were awarded "nicknames" to commemorate distinguished service. The First Troop, Philadelphia City Cavalry (organized in 1774 and perpetuated by Troop A, 1st Squadron, 104th Cavalry, Pennsylvania Army National Guard), displayed pride for its role in the battles of Trenton and Princeton by embroidering the names of the engagements on the troop's trumpet banner early in its history. The Army as a whole began recognizing battle honors during the Civil War by allowing units to embroider the names of engagements on the stripes of their national colors. This practice continued until 1890, when it was ordered that honors be inscribed on silver bands fastened around the staff of the organizational color. In 1920 orders directed that battle honors be embroidered on streamers attached to the staff. Silver bands were retained as a means whereby guidon-bearing units could display any separate campaign credits. This system is still used today and is embodied in the provisions of ARs 600-8-22 and 840-10. Much of the history and development of our country as a great power is reflected in these bits of colored ribbon, and every soldier deserves to know the history behind them for his or her unit. Streamers for early wars generally use the colors of the enemy. Red streamers with white stripes (one for the Revolutionary War and two for the War of 1812) identify combat against the British. Green streamers with white stripes mark campaigns from the Mexican War. Blue and gray are used for the Civil War, with the blue stripe on top to indicate Union service and the gray stripe on top to denote Confederate service. Streamers from World War I to the present use the pattern of the service ribbon. Some combat units, such as the 1st Battalion, 5th Field Artillery, carry streamers for participation in almost every war from the Revolution to Southwest Asia. Others, with more recent history, have but a few. Regardless of the age of an organization or the number of streamers it has, each symbol of achievement can be used to instill pride in its past and to foster soldierly conduct and morale. To the 11th Engineer Battalion, the streamer embroidered "CAMBRAI" is a significant factor in maintaining high morale. It honors men who, in late November 1917, preparatory to a British offensive, were laying railroad tracks behind the front along the Somme. The Germans struck first, and the surprised British soldiers hastily fell back, exposing the unarmed engineers, who joined the fight with picks, shovels, or weapons gathered from the fallen. Before the battle was over, some of the track became part of the debris of "no man's land," and the engineers had earned a "well done" from the Chief of Engineers: "By long and honorable service the Corps of Engineers has earned a reputation which is second to none, and the conduct of these men proves that the ideals of the Corps still inspire its personnel and that its reputation is in good hands. . ."
"CERRO GORDO," embroidered across the striped green and white Mexican War streamer, continues to quicken the spirited steps of the men who march beneath the 7th Infantry's colors. Its story concerns a strongpoint which the infantry could not overcome. Position and numbers heavily favored the enemy. The spirit of the regiment's charge is immortalized by an officer's pen: "When dangers thickened and death talked more familiarly face to face, the men seemed to rise above every terror." The enemy, hit by soldiers who "seemed to despise death," ran, and the impossible became an accomplished fact. Colonel William Travis, commanding the Alamo in February 1836, wrote to the people of Texas: "I am besieged by a thousand or more of the Mexicans under Santa Anna. . . I have answered the demand [to surrender] with a cannon shot, and our flag waves proudly from the walls. I shall never surrender nor retreat!" Brig. Gen. Anthony McAuliffe of the 101st Airborne Division summarized that attitude at Bastogne in 1944 when he rejected a German demand to surrender with a single word: "Nuts!" Today's commanders can and should use symbols of unit achievement or bravery to maintain and enhance combat effectiveness. Colonel Travis' determination to "never surrender nor retreat" must be a part of the spirit of every modern American soldier. Astute unit commanders will make every attempt to create and sustain aggressive organizational history programs to ensure that their soldiers know about their units. Ceremonies welcoming new personnel into the unit may include the reading of the Lineage and Honors Certificate, an explanation of the streamers and silver bands on the unit's flag or guidon, an explanation of the unit's special designation and the reason behind the organization's Unit Day, and a formal presentation of distinctive unit insignia. Units authorized unit decorations appropriate only for temporary wear on the uniform, such as the Presidential Unit Citation, can initiate new members by reading the award citations. In addition to formal ceremonies, the certificates issued by the Army should be prominently displayed in the unit's public area and used as a focal point for organizational history activities. During the nineteenth century considerable confusion existed among the elements of the Army as to the accepted procedures and methods for determining the prior history of units and their entitlements to honors for participation in various campaigns. Following the Civil War several disputes arose over entitlement to embroider the names of battles on regimental colors. With the termination of World War I and the subsequent demobilization of the Army to peacetime levels, many units with long histories and numerous honors were lost from the rolls of the Army. In an effort to prevent such confusion in the future, the Historical Section of the Army War College assumed among its functions during the 1920s the monitoring of unit histories and the provision of staff guidance to ensure that those units with the most significant heritage were maintained on the rolls of the Army; thus lineage work began. Many of the mistakes of 1918-1919 were averted during the tremendous changes that occurred in the Army during and immediately after World War II. In 1947 the Organizational History and Honors Section was established in the Historical Division, Special Staff, to continue the work of the Historical Section, Army War College. Today, following several reorganizations, this lineage and honors function forms the heart of the Organizational History Branch, U.S. Army Center of Military History. The principal product of the branch is the Lineage and Honors Certificate, a document that serves a legal function as the "birth certificate" of the unit, its "service record," and its "deed" to organizational properties and historical records. This document is a concise statement of the organizational history of a unit and denotes primarily its dates of constitution (being placed on the rolls of the Army), activations and inactivations, and changes in unit designation. It also includes the official list of battle honors awarded to the unit-campaign participation credit and unit decorations (both American and foreign). are issued, however, only if significant changes have occurred since the last certificate was prepared or if the certificate has been lost or damaged. While all TOE units are entitled to a Lineage and Honors Certificate, resource constraints within the Organizational History Branch in recent years have made it possible to issue them only to units at battalion level and above. Company and detachment-sized units receive Statements of Service that contain the same information as would appear on an official certificate. Like the certificate, the statements may be used to requisition the appropriate streamers and silver bands to which the unit is entitled. The historians in the Organizational History Branch use principles first enunciated in the 1920s to ensure that the lineages recorded on the certificates are historically accurate. They consult official documents and other sources to verify each statement on the certificate. These principles differ between units of the Regular Army and Army Reserve and those of the Army National Guard. For the Regular and Reserve units, the Army follows general military custom in recognizing that a unit has a corporate identity that transcends the individuals assigned or attached to it. The organization's history is traced through the intangible spirit of the unit itself, regardless of changes in the personnel that comprise it. Through this process, a unit retains an existence even during periods of inactivation. Army National Guard units, on the other hand, use local identity as the basis of organization. All legislation since the colonial period has based units in specific geographic areas. Therefore, historians trace Guard lineages on the continuity of personnel from a specific place regardless of changes in the unit's branch or designation Deviations from these principles are rare. The honors section of the certificate serves as justification for unit streamers and silver bands. The historians research the history of each organization to ensure that the unit receives credit for campaigns in which it has participated. The Army flag currently carries 1731 streamers for the "named" campaigns recognized in AR 600-8-22. The branch is the authority for determining unit participation in these and other unnamed campaigns under criteria contained in that regulation. Arrowheads embroidered on the streamers denote assault landings, either amphibious or airborne. Decorations fall into two categories: American and foreign. Army unit decorations date from World War II and, in order of precedence, are: the Presidential Unit Citation (established in 1942 as the Distinguished Unit Citation); the Valorous Unit Award (established in 1963); the Meritorious Unit Commendation (established in 1944); and the Army Superior Unit Award (established in 1985). Other American decorations included on Lineage and Honors Certificates are the Presidential Unit Citation (Air Force), the Presidential Unit Citation (Navy), the Navy Unit Commendation, the Air Force Outstanding Unit Award, and the Meritorious Unit Commendation (Navy). Vietnam Cross of Gallantry; the Republic of Vietnam Civil Action Honor Medal; and Citations in the Order of the Day of the Belgian Army. The Center of Military History plays no role in approving unit awards, but does ensure that all approved awards are credited to a unit and determines the inscription on the appropriate streamer. Prior to the adoption of the Combat Arms Regimental System (CARS) in 1957, the regiment been the level at which history, honors, and traditions were perpetuated. With the abolition of the regiment as a tactical unit (except for armored cavalry regiments), the regimental headquarters was placed at zero strength under Department of the Army control. All elements of the regiment share in its history and traditions. Honors on the certificates for battalion-level elements include the earned honor device. The device (indicated on the certificate by an asterisk and on streamers by a laurel wreath) indicates those honors actually earned by the element itself. For example, the 1st Air Defense Artillery carries campaign participation credit for engagements with the Seminoles and with Indians in 1859 in Texas during the Indian Wars. The certificate of the regiment's 1st Battalion has the earned honor device on the streamer for the Seminoles campaign, which indicates that the battalion's predecessor (Company I, 1st Regiment of Artillery) participated in those actions. It does not, however, have an earned honor device for its streamer embroidered "TEXAS 1859," which means that the company did not participate in any skirmishing in Texas in that year. In order for a campaign to appear on the regimental certificate, two or more elements of the regiment must have participated in a specified campaign prior to 1898; one-third or more of its elements must have participated in a specified campaign between 1898 and CARS. Campaigns earned by regimental elements after the adoption of CARS appear on the regimental certificate and the earning unit's certificate only. In 1983 the Army approved the U.S. Army Regimental System (USARS), which, for lineage and honors purposes, is structured in much the same way as CARS organizations. Under USARS, units in the training base became part of the regimental system. Lineage and Honors Certificates for training base regiments are prepared only on the regimental level. Whole-branch regiments, such as the Signal Corps Regiment, were also formed under USARS. They do not accrue lineage or earn honors, however, and serve as a means of fostering esprit within the non-combat branches. The Lineage and Honors Certificate is important to morale programs of every TOE organization in the Army. Besides its importance to the individual unit, The Institute of Heraldry derives its design of coats of arms, distinctive unit insignia, and other heraldic items from the certificate. The U.S. Army Support Office in Philadelphia issues streamers and silver bands on its authority, and the Museum Division of the Center of Military History uses the certificate to authorize the return of any organizational properties held in storage. The certificate also provides guidance to the unit commander in determining which unit award ribbons are authorized to be worn by the unit members in accordance with ARs 600-8-22 and 670-1. Other certificates issued by the Army to organizations are designed to enhance unit morale. Units must request these certificates in writing. The Unit Day certificate recognizes an organization's selection of a specific date to be celebrated annually in ceremonies and special activities. The date should be one of enduring significance and commemorate a particularly noteworthy event in the history of the organization. Unit Days might mark an outstanding combat action of the unit. The 66th Armor, for example, selected 12 September in recognition of the unit's combat in the St. Mihiel campaign on 12 September 1918 as the 1st and 2d Provisional Brigades, Tank Corps. The 11th Signal Brigade picked 6 June, in recognition of the contributions made by its predecessor, the 3103d Signal Service Battalion, to the success of the D-day invasion. Units may also select dates relating to their initial organization or other significant events. The Organizational History Branch issues two types of special designation certificates, which give official status to unit "nicknames." Special designations can then be used on letterhead writing paper and signs. Traditional designations are nicknames that have been associated with a unit for thirty or more years, while distinctive designations are those that have been in use for less than thirty years. An example of the former is "The Old Guard," the traditional designation of the 3d Infantry, first used during the Mexican War. Any request for a traditional designation certificate must be accompanied by documentation showing use of the nickname for at least thirty consecutive years. While only one special designation is normally authorized for a color-bearing unit, an organic element of a color-bearing unit that has used a nickname for at least fifty years is entitled to its own traditional designation. For example, the 1st Battalion, 5th Field Artillery, is officially recognized as the "Alexander Hamilton Battery," even though the 5th Field Artillery has no special designation. Distinctive designations tend to reflect unit missions or the actions of an outstanding individual. The 24th Transportation Company, a truck unit, selected "Truck Masters," as its distinctive designation, and the 11th Military Intelligence Company chose the nickname "Wizards of War," referring to its special skills in technical intelligence. The Military Awards Branch, U.S. Total Army Personnel Command, ATTN: TAPC-PDO-PA, 200 Stovall Street, Alexandria, VA 22332-0471, issues certificates for all U.S. Army decorations listed on a unit's Lineage and Honors Certificate. Commanders of TOE armies, commands, corps, combat divisions, nondivisional armored and infantry brigades, ranger, and armored cavalry regiments, and Special Forces groups in the Regular Army, the Army National Guard when in Federal service, and the Army Reserve are required to prepare Annual Histories in accordance with AR 870-5. Guidance for their preparation is provided in that regulation. Army's smallest units are the owners of its richest military heritage. The 133d Engineer Battalion of the Maine Army National Guard, for instance, perpetuates the famous 20th Maine Infantry of Civil War fame. Source material for preparing unit histories may come from many areas, but the basic document in writing any complete unit history is the Lineage and Honors Certificate of th organization. The Organizational History Branch also maintains bibliographies of histories of many American military organizations, and requests for these should be addressed to th branch at 102 4TH AVE BLDG 35, FORT MCNAIR DC 20319-5060. The largest collection of Army unit histories, included those submitted in accordance with AR 870-5, is maintained by the U.S. Army Military History Institute, Carlisle Barracks, Pennsylvania 17013-5008. Another large collection of published unit histories is located in the New York Public Library, Fifth Avenue and 42d Street, New York, New York 10018-2788. The Library of Congress is another rich source of information. Official records of the Department of the Army are available for research in connection with the writing of unit histories. In requesting records from the centers listed below, care should be taken to give the designation of the unit at the time the records were created. This may be determined from the Lineage and Honors Certificate of the organization. Conditions governing access to official records are prescribed in AR 25-400-2. Records covering Federal service prior to 1917 in the custody of the Archives I Reference Branch, Textual Reference Division, National Archives and Records Administration, Washington, D.C. 20408, and must be researched at that location. These records include muster rolls, returns, operations reports, and regimental or unit papers. A copy of the Lineage and Honors Certificate or Statement of Service will aid archivists in identifying the desired records. Unit operational records created from 1917 through 1954 and those of units that served in Southeast Asia from 1954 to 1975 are in the custody of Modern Military Records (NWCTM), National Archives and Records Administration, 8601 Adelphi Road, College Park, Maryland 20740-6001. Requests for records created by units since 1954 (except those that served in Southeast Asia) should be directed to the U.S. Army Freedom of Information and Privacy Acts Office, 7799 Cissna Road, Suite 205, Springfield, Virginia 22150-3166. Inquiries involving other retired operational files of the Army should be addressed to those records centers that are described in AR 25-400-2. Questions concerning the operational records created by organizations of the U.S. Army Air Service, U.S. Army Air Corps, and the U.S. Army Air Forces should be addressed to the U.S. Air Force Historical Research Agency, 600 Chennault Circle, Maxwell Air Force Base, Alabama 36112-6424.
sonable requests about former personnel may be filled by the centers. The standard form for submitting a request for records may be obtained by calling (314) 538-4261. Requests for official photographs of the unit created prior to 1988 should be addressed to the Still Picture Branch, National Archives and Records Administration, 8601 Adelphi Road, College Park, Maryland 20740-6001. More recent official photographs and videos are in the custody of the Defense Visual Information Center, 1363 Z Street Center, Building 2730, March Air Force Base, California 92518-2727. Motion pictures created between 1898 and the present are in the custody of the Motion Picture, Sound, and Video Unit, Special Media Archives Services Division, National Archives and Records Administration, 8601 Adelphi Road, College Park, Maryland 20740-6001. Questions pertaining to heraldry, insignia, and flags should be directed to The Institute of Heraldry, 9325 Gunston Road, Room S-112, Fort Belvoir, Virginia 22060-5579. For details, consult ARs 600-5-22 and 840-10. Details concerning Army or organizational historical properties are contained in AR 870-20. It must be remembered that the sources listed above are not the only ones available to the writers of unit histories. State historical societies, state archives, and other local sources are most helpful, since the history of so many of our military organizations is intertwined with local history. Unit histories are not official publications of the Department of the Army and are not subject to review or revision by the Center of Military History. Any costs incurred in their preparation or publication must be borne by the unit. Details concerning the use of unit funds for this purpose are contained in AR 870-5, as is the matter of public information clearance. If histories are prepared by organizations of battalion or larger size, subordinate elements should be encouraged to share in defraying the costs of publication. Publication can be in various forms: printed, photocopied, or electronic. The distribution of unit histories (basic history or revised edition) and annual supplements is the responsibility of the preparing organization. Due to the limitations imposed by the Privacy Act, the Department of the Army cannot furnish lists of unit members, former members, or their next of kin, for use in distribution. of the Army National Guard, three copies should befurnished to the Chief of the National Guard Bureau, one of which should be forwarded to the U.S. Army Military History Institute. Writing of an initial draft should begin as soon as the author feels his or her research is reasonably complete. Start writing promptly, do not delay or postpone, do not wait until every last piece of evidence has been assembled. The writing process will disclose any gaps in research. Write simply in plain English. Choose words with care so that they will convey meaning exactly. Avoid trite or vague phrases, stale figures of speech, jargon, and acronyms. Avoid pompous, high-sounding, and self-conscious literary language. If possible, write in the active voice. Use strong nouns and verbs, and look for colorful incidents to illustrate and enliven the narrative. Under peacetime conditions, training exercises conducted in most units require all soldiers to put forth the utmost energy to give life and meaning to the problem. Such exercises can be reported in an interesting manner by a historian who looks beyond the routine and records significant facts in vigorous language. An example of routine reporting is found in the monthly summary of the ___ Cavalry for February 1954. "During the period 15-16 February the ___ Cavalry, less Tank, Heavy Mortar and Service Companies, completed a 22-mile march from the base camp at Camp ____ to the ____." The writer took the lazy way out. He failed to report the conditions of the march, the method of transportation, the difficulties encountered and measures taken to overcome them, and the specific exploits of companies, platoons, squads, and individual soldiers whose actions enabled the regiment to accomplish the mission. Footnotes, though not essential in a unit history, are desirable as a means of authenticating the accuracy of the text. Appendix B is a suggested outline for a unit history. Commanders of all organizations are encouraged to employ interpretative displays to depict the contributions of their units to the military heritage of the United States Army and its role in the social and cultural history of the nation. Organizational historical properties provide a tangible link to that heritage, and along with the unit's colors, distinguishing flag, or guidon form an excellent means around which a display can be created. The only limits to the use of such properties are a responsibility to history and to the proper care of the objects, together with the imagination of the custodians. Commanders are cautioned that all such historical property must be maintained and cared for in accordance with AR 870-20. Displays may take many forms, depending upon the size and appropriateness of the historical collection: a single wall in a day room, a trophy room in a unit headquarters, or, if qualified under AR 870-20, a unit museum. Each must begin with well thought-out plan of goals and objectives including (1) a brief synopsis of the unit's history, (2) a list of objects from the collection that would help depict this history, and (3) sketches of a proposed display. Ideally, objects chosen should have a historical association with the unit. Historical artifacts such as obsolete flags and uniforms generally make poor choices for this type of display, as their delicate nature requires special handling and care. A typical organizational history interpretative display is a single wall exhibit. The area chosen for its location should be safe and secure at all times, free from extremes of temperature and humidity and away from sunlight. The unit's colors, distinguishing flag, or guidon, a symbol of the unit's past and present, makes an excellent central element in such a display. A proper stand should hold the pike so as to minimize wrinkles and enable the field to be seen; no fasteners should touch the fabric. Short, easy-to-read captions can then explain the heraldic language including the coat of arms, campaign streamers, and unit awards. Accompanying this is usually the official Lineage and Honors Certificate, with past events in the unit's history, such as campaigns and their geographic areas, illustrated through photographs, maps, and prints attractively mounted. Only copies of rare photographs and documents should be used for exhibit to ensure preservation of the originals. A helpful addition to the exhibit, especially for new personnel, is a large colorful plaque of the distinctive unit or shoulder sleeve insignia with appropriate labeling to explain the significance of each portion in the unit's history. Earlier versions of these insignia or of one of the organization's predecessors make excellent interpretative devices. Flanking these central elements, or arranged in front on appropriate mounts or in display cases, can be significant items of historical property from the collection. Items such as obsolete helmets or equipment with unit markings, captured enemy objects, disarmed antiquated munitions, or souvenirs of campaigns in distant places all make the written history of an organization come alive for the personnel who view these displays and help sustain their pride in a unit in which their forebears have served. transfer, loan, or purchase by means of procedures prescribed in ARs 1-100, 215-1, 215-2, 870-5, and 870-20. AR 870-20 is the primary regulation that governs the acquisition and care of historical properties. The acquisition of historical property by any means requires the approval in writing of the Chief of Military History. The Museum Division, U.S. Army Center of Military History, is available to advise commanders with information or sources that can assist in the acquisition of historical properties and the preparation of organizational history interpretative displays. Activate. To transfer a constituted Regular Army or Army Reserve unit from the inactive to the active rolls of the United States Army. The unit is usually stationed at a specific location and assigned personnel and equipment at this time; however, a unit may be active at zero strength -- that is, without personnel or equipment. Allot. To allocate a unit to one of the components of the United States Army. The present components are the Regular Army (RA), the Army National Guard (ARNG), and the Army Reserve (AR), formerly known as the Organized Reserves and Organized Reserve Corps. During World War I units were also allotted to the National Army, and during World War II t the Army of the United States. An Army National Guard unit is usually further allotted to a particular state or group of states. A unit may be withdrawn from any component except the Army National Guard and allotted to another; the new allotment, however, does not change the history, lineage, and honors of the unit. Assign. To make a unit part of a larger organization and place it under that organization's command and control until it is relieved from the assignment. As a rule, only assignments to divisions and separate combined arms brigades are shown in unit lineages. Consolidate. To merge two or more units into a single unit. The unit may retain the designation of one of the former units or it may have a new designation, but it inherits the history, lineage, and honors of all of the former units. In the nineteenth century, consolidation was frequently a merger of several under-strength units to form one full-strength unit. At the present time, in the Regular Army and the Army Reserve, units are usually consolidated when they are inactive or when only one of the units is active; therefore, personnel and equipment are seldom involved. In the Army National Guard, on the other hand, active units are often consolidated and their personnel are combined in the new unit. Constitute. To place the designation of a new unit on the official rolls of the United States Army. Convert. To transfer a unit from one branch of the Army to another -- for example, from infantry to armor. Such a change always requires a redesignation; however, there is no break in the historical continuity of the unit. Active as well as inactive units may be converted, but if the unit is active, it must also be reorganized under a new table of organization and equipment (TOE). Demobilize. To remove the designation of a unit from the official rolls of the Army. If the unit is active, it must also be inactivated. This term is used in unit lineages only when referring to the period during and immediately after World War I. Designation. The official name of a unit, consisting usually of a number, a branch or function, and a command echelon, e.g., 145th Medical Battalion, 353d Civil Affairs Command, 1st Cavalry Division. Additional descriptive terms may appear in parentheses, but such parenthetical identifications are not part of the unit's official designation. Disband. To remove the designation of a Regular Army or Army Reserve unit from the official rolls of the United States Army. If the unit is active, it must also be inactivated. Disbandment is intended to be permanent and irreversible, except in extraordinary circumstances. Element. A unit that is assigned to or is part of a larger organization. Federally recognize. To accept an Army National Guard unit into the force structure of the United States Army after the unit has been inspected by a federal representative and found to be properly stationed, organized, and equipped in accordance with Army requirements. Inactivate. To place a Regular Army or Army Reserve unit that is not currently needed in the force structure in an inoperative status without assigned personnel or equipment for a limited period of time. The unit is transferred to the inactive rolls of the United States Army, but it can be activated again whenever needed. Its personnel and equipment are reassigned to one or more active units, but its historical records and properties are placed in storage. Upon reactivation, the unit retains its former history, lineage and honors, and it may retrieve its records and properties from storage. The term "inactivate" has been used only since 1921. Before that time, units either remained active or were removed from the rolls of the Army. Order into active federal service. To place an Army National Guard unit on full-time active duty under the control of the United States government. The unit remains in federal service until released by the federal government, at which time it reverts to the control of its home state or states. Order into active military service. To place an Army Reserve unit on full-time active duty, usually during a war or a major crisis, such as the Berlin crisis of 1961-62. After completing its active duty, the unit may be inactivated o it may be released from active military service, reverting to reserve status. This phrase does not apply to Army Reserve units on annual active duty for training. Organic element. A unit that is an integral part of a larger organization -- for example, a lettered company of a battalion or regiment. Organize. To assign personnel and equipment to a unit and make it operative -- that is, capable of performing its mission. For Army National Guard units, this term is used instead of activate (see above). Reconstitute. To restore to the official rolls of the United States Army a unit that has been disbanded , demobilized, or had its federal recognition withdrawn. The reconstituted unit may have a new designation, but it retains its former history, lineage, and honors. Reorganize. To change the structure of a unit in accordance with a new table of organization and equipment (TOE) within the same branch of the Army -- for example, from mechanized to light infantry. When referring to the Army National Guard, this term also means to organize an active unit again. Withdraw federal recognition. To remove the designation of an Army National Guard unit from the official rolls of the United States Army. Federal recognition is withdrawn when the unit no longer meets Army requirements or is no longer needed in the force structure. Brief biographical sketches and photographs, if available. Brief biographical sketches; photographs, if available, and a brief account of the action or a copy of the citation. Winners of the Distinguished Service Cross, Silver Star, Bronze Star, and other awards. NOTE: A unit history or a supplemen thereto may contain classified material, but it is suggested that information of this nature be furnished as an annex or an appendix that can be separated from the basic document. The unclassified history can then be given wider distribution both within and outside the unit. American Battle Monuments Commission. American Armies and Battlefields in Europe: A History, Guide, and Reference Book. Washington: Government Printing Office, 1938. Reprint. 1992, 1995. The Army Almanac. 2d edition. Harrisburg: The Stackpole Company, 1959. Battles and Leaders of the Civil War. 4 vols. New York: The Century Company, 1884-1888. Bauer, Jack K. The Mexican War, 1846-1848. Lincoln: University of Nebraska Press, 1993. Beers, Henry P. Bibliographies of American History. Paterson, New Jersey: Pageant Books, Inc., 1959. Reprint of 1942 edition. Birkhimer, William E. Historical Sketch of the Organization, Administration, Materiel and Tactics of the Artillery, United States Army. Washington: James C. Chapman, 1884. Coffman, Edward M. The Old Army: A Portrait of the American Army in Peacetime, 1784-1898 . New York: Oxford University Press, 1986. Controvich, James. United States Army Unit Histories: A Reference and Bibliography. Manhattan, Kansas: Military Affairs/Aerospace Historian, 1983. With supplements in 1987, 1996, and 1999. Cosmas, Graham A. An Army for Empire: The United States in the Spanish-American War. Columbia, Missouri: University of Missouri Press, 1971. Expanded edition printed by White Mane Press, 1995. Craven, Wesley Frank and James Lea Cate, eds. The Army Air Forces in World War II. 7 vols. Chicago: University of Chicago Press, 1948-58. Cullum, George W. Biographical Register of the Officers and Graduates of the U.S. Military Academy. 7 vols. Boston: Houghton-Mifflin Company, 1891-1930. Also additional supplements published by the Association of Graduates of the U.S. Military Academy. Dornbusch, Charles E., Histories, Personal Narratives, United States Army. A Checklist . Cornwallville, New York: Hope Farm Press, 1967. One of the most comprehensive bibliographies of unit histories, though now somewhat dated. Includes those volumes then held by the New York Public Library, one of the foremost such collections in the nation. Dornbusch, Charles E. Regimental Publications and Personal Narratives of the Civil War. A Checklist. Cornwallville, New York: Hope Farm Press, 1961. Bibliographies published in volumes by state or region. Dupuy, R. Ernest and Trevor N. Military Heritage of America. New York: McGraw-Hill, 1956. Dyer, Frederick H., compiler. A Compendium of the War of the Rebellion. Des Moines: Dyer, 1908. Republished in 1959 in 3 volumes by Thomas Yoseloff, New York. Esposito, Vincent J., chief ed. The West Point Atlas of American Wars, 1689-1953. 2 vols. New York: Frederick A. Praeger, 1959. Freidel, Frank, ed. Harvard Guide to American History. rev. ed. 2 vols. Cambridge: Belknap Press of Harvard University Press, 1974. Gugeler, Russell A. Combat Actions in Korea: Infantry, Artillery, Armor. Washington: Combat Forces Press, 1954. Reprinted by U.S. Army Center of Military History. 1970, 1987. Hamersley, Thomas H. S., ed. Complete Regular Army Register of the United States for One Hundred Years, 1779-1879. Washington: T. H. S. Hamersley, 1880. Heitman, Francis R. Historical Register and Dictionary of the United States Army. 2 vols. Washington: Government Printing Office, 1903. Heller, Charles E. and William A. Stofft, eds. America's First Battles, 1776-1965. Lawrence: University Press of Kansas, 1986. Herr, John K. and Edward S. Wallace. The Story of the U.S. Cavalry, 1775-1942. Boston: Little, Brown, and Company, 1953. Higgenbotham, Don. The War of American Independence: Military Attitudes, Policies, and Practice, 1763-1789. New York: Macmillan, 1971. Jessup, John E. Jr. and Robert W. Coakley. A Guide to the Study and Use of Military History. Washington: Government Printing Office, 1979, 1988, 1990. Kohn, Richard H. Eagle and Sword: The Beginnings of the Military Establishment in America. New York: Free Press, 1975. Leach, Douglas E. Arms for Empire: A Military History of the British Colonies in North America. New York: Macmillan, 1973. Millett, Allan R. and Peter Maslowski. For the Common Defense: A Military History of the United States of America. New York: Free Press, 1984. Millett, Allan R. and B. Franklin Cooling, Jr., compilers. Doctoral Dissertations in Military Affairs. Manhattan: Kansas State University Library, 1972. Updated annually in Journal of Military History (formerly Military Affairs). Morton, Louis, gen. ed. THE WARS OF THE UNITED STATES. New York: The Macmillan Company (Free Press division), 1967-present. Series covering the wars in which the United States has participated and histories of the various branches of the armed forces. Of special interest is: Weigley, Russell F. History of the United States Army. 1967. rev. ed. 1984. National Geographic Society. Insignia and Decorations of the U.S. Armed Forces. Rev. ed.., Washington: National Geographic Society, 1944. Prucha, Francis. The Sword of the Republic: The United States Army on the Frontier, 1783-1846. New York: Macmillan, 1969. Register of Graduates and Former Cadets of the United States Military Academy. Revised and published annually by the Association of Graduates of the United States Military Academy since 1945. (For earlier graduates see Cullum, above). Rodenbough, Theophilus F. and William L. Haskin, eds. The Army of the United States: Historical Sketches of Staff and Line. New York: Charles E. Merrill and Company, 1896. Sifakis, Stewart. Compendium of the Confederate Armies. New York: Facts on File, 1992. Spaulding, Oliver L. The United States Army in War and Peace. New York: G.P. Putnam's Sons, 1937. Spector, Ronald H. Eagle Against the Sun: The American War with Japan. New York: Free Press, 1985. Spiller, Roger J., ed. Dictionary of American Military Biography. 3 vols. Westport, Conn.: Greenwood Press, 1984. Stanton, Shelby. Order of Battle U.S. Army, World War II. Novato, Calif.: Presidio Press, 1984. Stanton, Shelby. Vietnam Order of Battle. Washington: U.S. News Books, 1981. U.S. Army Artillery and Guided Missile School. Artillery Unit Histories. Fort Sill, Okla.: U.S. Army Artillery and Guided Missile School, 1955. U.S. Army Center of Military History. All the series listed below are published by the Government Printing Office. A brochure is available upon request. UNITED STATES ARMY IN WORLD WAR I. CD-ROM publication, 1998. UNITED STATES ARMY IN WORLD WAR II. This series consists of 78 volumes, published from 1947 to 1998, covering virtually every aspect of the conflict. Bowers, William T., William M. Hammond, and George L. MacGarrigle, Black Soldier/White Army: The 24th Infantry Regiment in Korea. 1996. Matloff, Maurice, gen. ed. American Military History. 1969. rev. ed., 1973. Raines, Edgar F., Jr. Eyes of Artillery: The Origins of Modern U.S. Army Aviation in World War II. (Forthcoming). Raines, Rebecca R. Getting the Message Through: A Branch History of the U.S. Army Signal Corps. 1996. The Army Lineage Book: Volume II: Infantry. 1953. Finnegan, John Patrick and Romana Danysh. Military Intelligence. 1998. Mahon, John K. and Romana Danysh. Infantry, Part I: Regular Army. 1972, 1984. McKenney, Janice E. Air Defense Artillery. 1985. McKenney, Janice E. Field Artillery. 1985. Stubbs, Mary Lee and Stanley Russell Connor. Armor-Cavalry, Part I: Regular Army and Army Reserve. 1969, 1984. Stubbs, Mary Lee, Stanley Russell Connor, and Janice E. McKenney. Armor-Cavalry, Part II: Army National Guard. 1973. Wilson, John B. Armies, Corps, Divisions, and Separate Brigades. 1987, 1998. Wilson, John B. Maneuver and Firepower: The Evolution of Divisions and Separate Brigades . 1998. Wright, Robert K., Jr. The Continental Army. 1983. Wright, Robert K., Jr. Military Police. 1992. Dastrup, Boyd L. King of Battle: A Branch History of the U.S. Army's Field Artillery. 1993. Hogan, David W., Jr. U.S. Army Special Operations in World War II. 1992. Risch, Erna. Quartermaster Support of the Army: A History of the Corps, 1775-1939. 1989. Risch, Erna. Supplying Washington's Army. 1981, 1986. U.S. Army Military History Institute. United States Army Unit Histories. Special Bibliographic Series Number 4. Washington: Government Printing Office, 1978. U.S. Army (War Department). Bibliography of State Participation in the Civil War ... 3d ed. Washington: Government Printing Office, 1913. _________. Order of Battle of the U.S. Land Forces in the World War. 5 vols. Washington: Government Printing Office, 1937-1949. Facsimile reprint, 1988. _________. U.S. Army in the World War 1917-1919. Documentary History. 17 vols. Washington: Government Printing Office, 1948. Reprinted 1988-1992. _________. The War of the Rebellion: Official Records. . . Washington: Government Printing Office, 1880-1901. 130 vols. Includes a one-volume index and three volumes of maps. Reprint. Harrisburg: National Historical Society, 1985. _________. The Adjutant General's Office. Correspondence Relating to the War with Spain...the Insurrection in the Philippines and the China Relief Expedition. 2 vols. Washington: Government Printing Office, 1902. Reprint. 1993. Utley, Robert. Frontier Regulars: The U.S. Army and the Indian, 1866-1891. New York: Macmillan, 1974. Utley, Robert. Frontiersmen in Blue: The United States Army and the Indian, 1848-1865. New York: Macmillan, 1967. Weigley, Russell F. The American Way of War: A History of United States Military Strategy and Policy. Bloomington: Indiana University Press, 1973, 1977. Weigley, Russell F. History of the United States Army.New York: Macmillan, 1967. rev. ed., 1984. Welcher, Frank J. The Union Army, 1861-1865:Organization and Operations. 2 vols. Bloomington: University of Indiana Press, 1989. Westover, John G. Combat Support in Korea. Washington: Combat Forces Press, 1955. 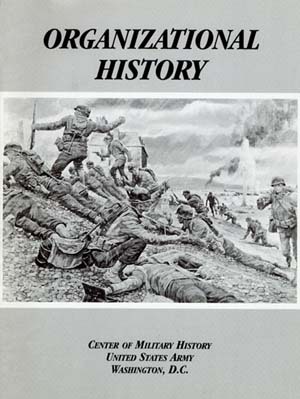 Reprinted by U.S. Army Center of Military History. 1987, 1990. West Point Atlas of Warfare since 1945. U.S. Military Academy, 1994. The Internet has had a profound effect on the research and writing of military history. The number of sites of value to military historians grows daily. The following is just a sample of sites that may prove useful for Army unit historians and those interested in organizational history. This continuously updated site provides a wide range of information including lineage and honors certificates for select units and online versions of many of the Center's publications. This site provides finding aids to the Institute's extensive collections, including unit histories, as well as reference bibliographies on a wide variety of topics. This site provides an excellent overview of the library's vast holdings and the tremendous resources it has available for researchers. Be sure to check the section on using the library. The Archives is in the process of developing an online catalog of its vast holdings. The prototype, know as NAIL, can be accessed through the website. The records center requires requests for information to be submitted in writing, but the order form can be downloaded from the website. This institution houses a large collection of published unit histories. The library's website offers an online searchable catalog of its holdings. This agency is responsible for the design of heraldic items for the armed services and the U.S. government as a whole. This site offers guidance on awards policy, including wear on the uniform, and a list of units that have received awards since 1987. The American Soldier, a series of colored uniform prints by H. Charles McBarron. These prints, issued by the Center of Military History, depict the American fighting man from the Revolutionary War to the present day. Set Number 1 covers the period from the Revolutionary War to the Civil War; Set Number 2 covers the period from the Civil War to 1963; Set Number 3 spans the period 1775-1965 as a complete set in itself or to be used to fill gaps in coverage of the first two sets; Set Number 4, portrays a number of Army activities in support of the nation's peacetime progress; and Set Number 5 depicts allies of the United States in various wars. Sold by the Superintendent of Documents, PO Box 371954, Pittsburgh, Pennsylvania 15250-7954. Soldiers of the American Revolution, a series of ten prints by H. Charles McBarron. Issued by the Center of Military History, these prints depict the American soldier in important episodes in the nation's fight for independence. Also available from the Superintendent of Documents. DA Poster Series (U.S. Army in Action Prints). This series of sixteen posters depicts units in action during such operations as the Remagen Bridgehead, the Battle of Chippewa, and the Breakthrough at Chipyong-Ni. Also available from the Superintendent of Documents. Alexander, Edward P. Museums in Motion. Nashville: American Association for State and Local History. American Association of Museums. The Official Museum Directory. Wilmette, Illinois: National Register Publishing Co.
Burcaw, G. Ellis. Introduction to Museum Work. Nashville: American Association for State and Local History. Dudley, Wilkinson, et al. Museum Registration Methods. Washington: American Association of Museums. Guldbeck, Pere E. The Care of Historical Collections, A Conservation Handbook for the Non-Specialist. Nashville: American Association for State and Local History. Guthe, Carl E. The Management of Small History Museums. Nashville: American Association for State and Local History. Harris, Karyn J. Costume Display Techniques. Nashville: American Association for State and Local History. Kane, Lucille M. A Guide to the Care and Administration of Manuscripts. Nashville: American Association for State and Local History. Keck, Caroline K. Safeguarding Your Collection in Travel. Nashville: American Association for State and Local History. Kenney, Alice P. Access to the Past Museum Programs and Handicapped Visitors. A Guide to Section 504. Nashville: American Association for State and Local History. Lewis, Ralph H. Manual for Museums. Washington: Government Printing Office. Neal, Arminta. Exhibits for the Small Museum. A Handbook. Nashville: American Association for State and Local History. _____. Help! For the Small Museum. A Handbook of Exhibit Ideas and Methods. Nashville: American Association for State and Local History. Office of Museum Programs. Museum Studies, Programs in the United States and Abroad. Washington: Smithsonian Institution. Rath, Frederick L. Jr. and O'Connell, Merrilyn Rogers, eds. Administration, A Bibliography on Historical Organization Practices. vol. 5. Nashville: American Association for State and Local History. ____. Documentation of Collections, A Bibliography on Historical Organization. vol. 4. Nashville: American Association for State and Local History. ____. Historic Preservation, A Bibliography on Historical Organization Practices. vol 1. Nashville: American Association for State and Local History. ____. Interpretation, A Bibliography on Historical Organization Practices. vol. 3. Nashville: American Association for State and Local History. Reibel, Daniel B. Registration Methods for the Small Museum. Nashville: American Association for State and Local History. Ritzenthaler, Mary Lynn. Archives and Manuscripts: Conservation, A Manual on Physical Care and Managementt. Chicago: Society of American Archivists. Tilden, Freeman. Interpreting Our Heritage. Nashville: American Association for State and Local History. Weinstein, Robert A. and Booth, Larry. Collection, Use, and Care of Historical Photographs. Nashville: American Association for State and Local History. 25-400-2 The Modern Army Recordkeeping System (MARKS). 40-226 Annual Historical Report-AMEDD Activities (RCS MED-41[R4]). 215-1 Morale, Welfare, and Recreation Activities and Nonappropriated Fund Instrumentalities. 215-2 The Management and Operation of Army Morale, Welfare, and Recreation Activities and Nonappropriated Fund Instrumentalities. 220-5 Field Organizations: Designation, Classification, and Change in Status of Units. 600-82 The U.S. Army Regimental System. 670-1 Wear and Appearance of Army Uniforms and Insignia. 735-5 Policies and Procedures for Property Accountability. 735-11 Accounting for Lost, Damaged, and Destroyed Property. 740-13 Storage of Organizational Trophies and Related Objects. 840-10 Flags, Guidons, Streamers, Tabards, and Automobile and Aircraft Plates. 870-2 The Military Historian in the Field. 870-5 Military History: Responsibilities, Policies, and Procedures. 870-20 Museums, Historical Artifacts, and Art. Who can request a Lineage and Honors Certificate? Under the provisions of AR 870-5, paragraph 5.1b(1), Lineage and Honors Certificates are prepared for active TOE organizations authorized an organizational color, distinguishing flag, or guidon, except organic elements of color-bearing organizations. A Lineage and Honors Certificate will not be prepared for subordinate elements (e.g., Troop E, 1st Squadron, 4th Cavalry), or units organized under a Table of Distribution and Allowance (TDA). Active TOE units should request their certificates in writing on unit letterhead. Because the certificates are unit property, a higher headquarters should not request or collect certificates for subordinate units. Although separate guidon-bearing units are entitled to Lineage and Honors Certificates, the Center of Military History is currently able to prepare certificates only for units at battalion level and above. Guidon-bearing units receive Statements of Service, which contain the same information. We are changing unit commanders and we would like to present our Lineage and Honors Certificate to the outgoing commander. When can we expect a replacement certificate? The official Lineage and Honors Certificate, printed on parchment and signed by the Chief of Military History, is accountable unit property and should not be given away. When a unit receives its certificate, it is told that this document constitutes the unit's "birth certificate," its "service record," and its "deed" to unit property. Only one such official document can exist at any given time. Copies of the certificate can be framed or the lineage information reformatted into a presentation gift, but the Center of Military History will not replace the official Lineage and Honors Certificate until the unit undergoes a significant organizational change that would render the document out-of-date. Damaged certificates will be replaced if the unit requests a new certificate and returns the old certificate with the correspondence. What does "AP" or "EAME" mean after my unit's World War II campaigns? The letters "AP" stand for Asiatic-Pacific Theater and "EAME" represent the European-African-Middle Eastern Theater. World War II campaign streamers have campaign names embroidered on streamers that reflect the color design of the theater service ribbon. Guidon-bearing units display campaign participation credit using silver bands instead of the colorful campaign streamers. Campaign names are engraved on the silver bands and, due to limited space, the theater is denoted by engraving either "AP" or "EAME." What does the asterisk stand for next to the campaign name on my Lineage and Honors Certificate? The asterisk indicates that the campaign is an earned honor and is represented on the campaign streamer by a laurel wreath. Units organized under the U.S. Army Regimental System often share regimental honors, but an asterisk indicates that the regimental element actually participated in that specific campaign. Separate regimental companies, batteries, and troops (such as Troop D, 4th Cavalry) display only earned honors because there is no additional means to indicate earned honors on the campaign silver bands. What does "with arrowhead" mean after campaigns on my Lineage and Honors Certificate? The phrase "with arrowhead" is used on Lineage and Honors Certificates to indicate that a unit participated in an assault landing, either amphibious or airborne, during that campaign. This is represented on the campaign streamer by an embroidered arrowhead. Among my unit's campaign streamers are some that are not displayed on the Army flag. For example, we have participation credit during the Civil War for "Virginia 1863," during the Indian Wars for "Arizona 1872," and "Luzon 1902" under the Philippine Insurrection. What do these campaigns represent? The 1731 streamers currently displayed on the Army flag represent named campaigns. There are, however, smaller battles that do not fall under these campaigns. When a location (a state, foreign country, or province) and date appear as campaigns, it means that a significant portion of the unit fought an action in that area during a particular year. Where can I get information about the campaigns for which my unit has campaign participation credit on its Lineage and Honors Certificate? General information on official named campaigns is available through CMH Online (http://www.history.army.mil). As part of the 50th anniversary of World War II, the Center of Military History published brochures on all of the World War II named campaigns. Similar brochures are now under preparation in conjunction with the 50th anniversary of the Korean War. Some of these brochures are available online, but all of them may be obtained through the official publications distribution system or from the Government Printing Office. For detailed information about a unit's role in a particular campaign, the best sources of information are the unit's own operational records. Why isn't my unit's participation and deployment to Somalia, Haiti, or Bosnia included on the Lineage and Honors Certificate? The Department of Defense does not recognize those deployments as official campaigns at this time. Unit awards have been approved, however, for service during some of those deployments, and such decorations appear on the Lineage and Honors certificate. What is the oldest unit in the Army? The oldest unit in the active Army is the 1st Battalion, 5th Field Artillery, which perpetuates the Alexander Hamilton Battery of the Revolutionary War. The oldest regiment in the active Army is the 3d Infantry (The Old Guard), which was originally organized in 1784 as the First American Regiment. However, the oldest units in the entire Army, dating back to 1636, belong to the Massachusetts Army National Guard. What is the proper way to write my unit's numerical designation, Tenth Cavalry or 10th Cavalry? Official Army unit designations use Arabic numerals except when referring to corps and armies (10th Cavalry). Corps are identified by Roman numerals (X Corps), while army numbers are spelled out (Tenth Army). My unit is scheduled to inactivate. What should I do with my flags, property, and organizational history files? Instructions for packing and shipping the unit's flags and property can be obtained from the Museum Division of the U.S. Army Center of Military History, 103 Third Avenue, Fort McNair, DC 20319-5058. The unit's organizational history files should be sent to the Center's Organizational History Branch at the same address. Whow do I contact for ...? These items are stored at the Anniston Army Depot in Alabama. To obtain them, you should contact the Museum Division of the U.S. Army Center of Military History, DSN 325-2451. 1At the time of publication of this pamphlet there were 173 streamers authorized for display on the Army flag. There are now several more streamers authorized for display. Click here for detailed listing.